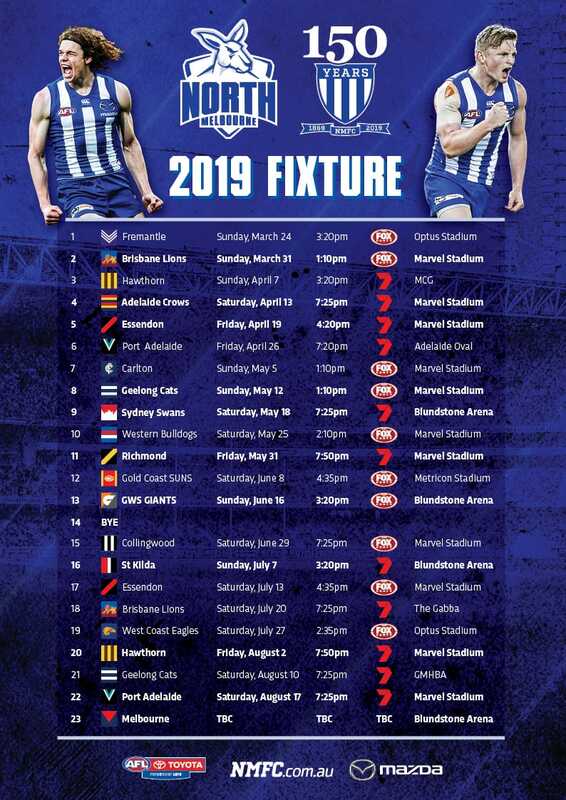 North Melbourne leaders Robbie Tarrant and Shaun Higgins have a simple message for any out-of-contract players considering a move at the end of this year – the Kangaroos already have the foundations of a "very successful side", and are hell-bent on climbing the ladder far more quickly than most are forecasting. 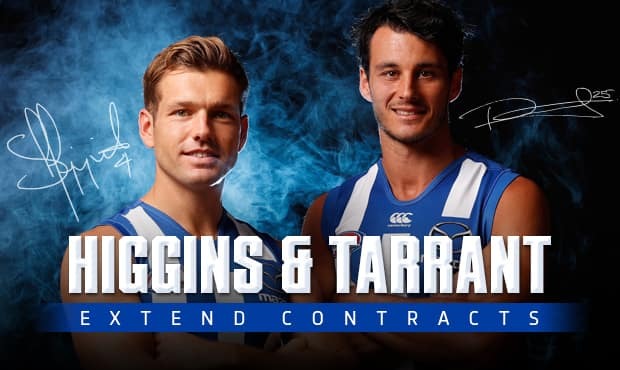 Tarrant and Higgins are so confident in North's future they signed contract extensions this week that will almost certainly ensure they end their careers at Arden St. Both leadership group members were already contracted until the end of 2019, but Higgins extended his tenure to 2020, while Tarrant re-signed until 2021. Kangaroos chairman Ben Buckley told News Ltd last week the club would again be an aggressive player in the free agency and trade markets in 2018. Higgins and Tarrant believe Arden St should be an attractive destination for any players seeking a new home this year, saying the Kangaroos had the senior core and youthful talent to rise up the ladder relatively quickly. "Speaking for myself and probably 'Taz' as well, we wouldn't have signed on or committed long-term if we didn't see the hope and know that the guys we've got at the moment are the foundation for a very successful side," Higgins said. "I think we've shown glimpses of that over the last 12-24 months, and hopefully we can make that progression a lot quicker by having some stability through the senior guys. We've got guys at the latter end of their careers in the leadership group and we've got a really healthy core group of young guys. "Any free agents could be comfortable that they're coming into an environment where the age demographic is pretty good. "We would love some top-end talent coming to the footy club, but having said that, if it doesn't eventuate we're more than happy with the list we've got at the moment." All of North's leadership group – captain Jack Ziebell (2021) and Jamie Macmillan are the other members – are now signed until at least the end of 2020, along with coach Brad Scott. Like Higgins, Tarrant believes this stability at the top of the club will be a considerable asset as the club continues its list makeover. "Stability is very important. It means we can just go to work and put things in place that make us climb up the ladder," Tarrant said. "Our role is to develop our younger guys and get them playing as well as possible. We've got great confidence in our list, and it's good to know we'll get the opportunity to continue teaching the younger boys the ropes over the next few years and hopefully follow through with some success." Higgins turns 30 on Sunday, while Tarrant will be 29 in April. Both have had their share of injury problems over their careers, but the duo believe they have plenty of good football left in them. "Apart from the meniscus (injury in 2016) when someone fell across me, which is sort of out of your control, the body has been really good and the club here has been fantastic in managing my program from week to week. So there should be no reason why I couldn't play to  and beyond," Higgins says. Tarrant played just 39 games in his first seven seasons at Arden St, largely due to a succession of shoulder and leg injuries, but has rebounded to play 66 games over the past three seasons, establishing himself as one of the competition's best key defenders. North's vice-captain sees no reason why his good run won't continue. "The last three years I've been able to build confidence in my body, and I'm just really looking forward to the next four years," Tarrant says.